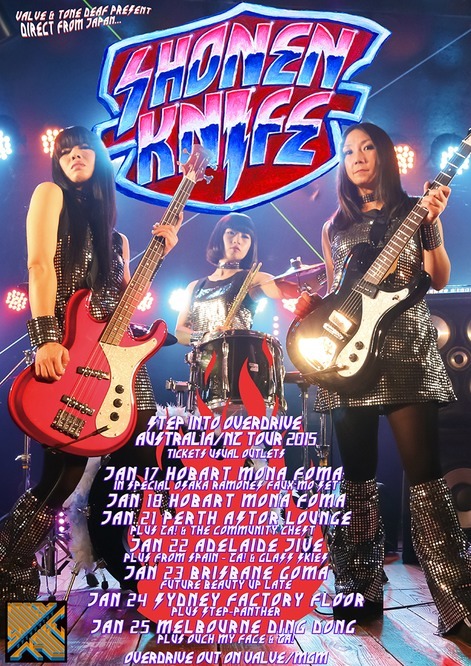 Naoko Yamano, singer from Shonen Knife (Boy Knife) speaks to us from Tokyo on their upcoming Australian tour and their new album Overdrive. The band formed in 1981 and is more popular across the world than at home in Japan. Shonen Knife are always fun live with a raw, yet cute sound that makes them one our favourite bands. Let’s Knife!